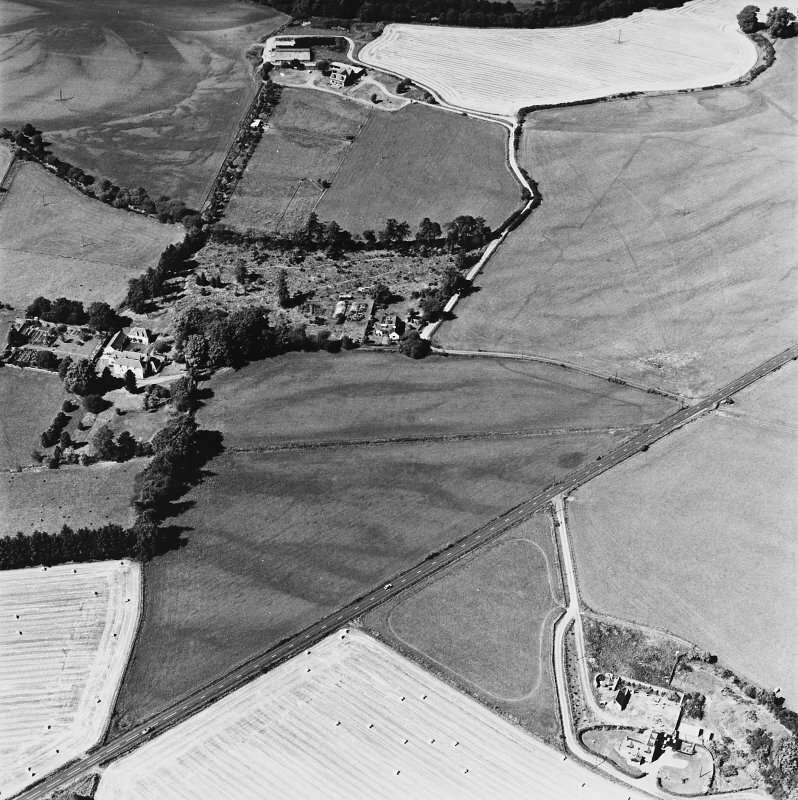 Tullichettle, oblique aerial view, taken from the SE, centred on the cropmarks of an old road, and a pit-defined cursus monument. Dalginross Roman Temporary Camp is visible in the top half of the photograph. 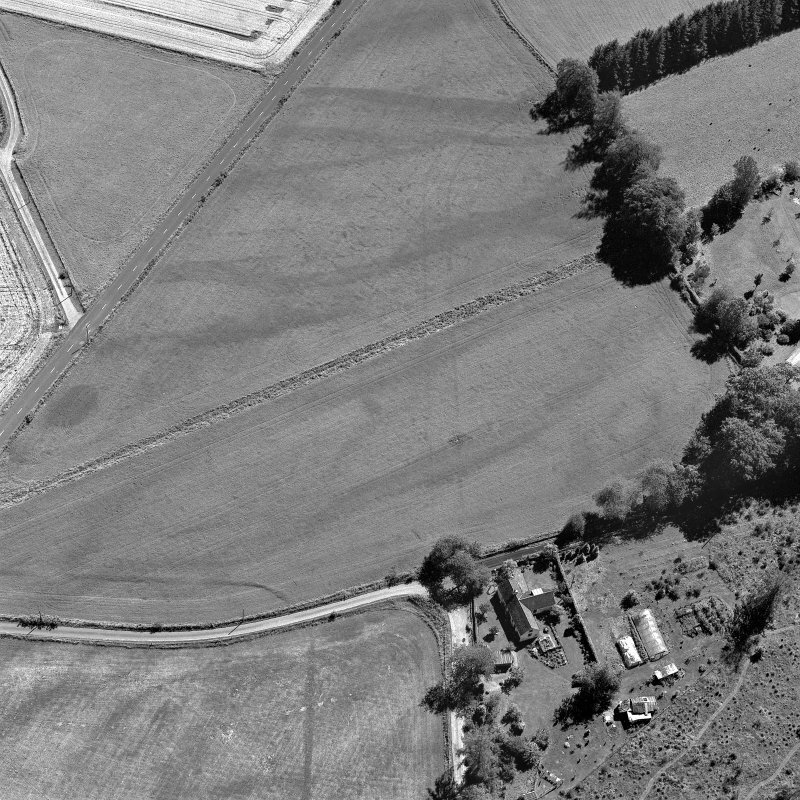 Tullichettle, oblique aerial view, taken from the NNW, centred on the cropmarks of an old road, and a pit-defined cursus monument. 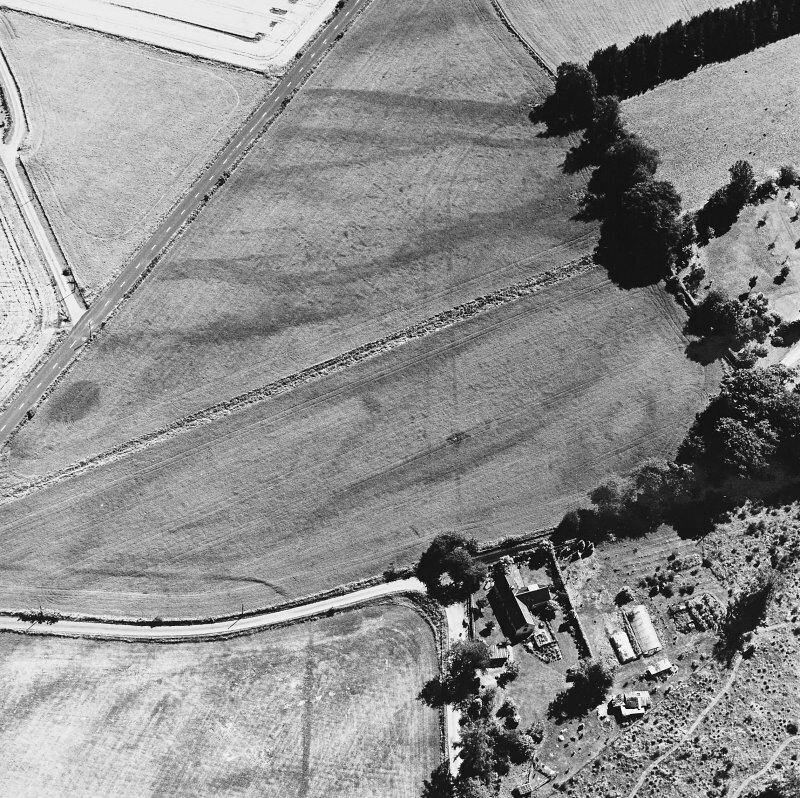 Oblique aerial photography (RCAHMSAP 1995, 1996) has revealed the cropmarks of a pit-defined cursus monument running E-W across a field immediately to the E of Tullichettle farmsteading. Two irregular lines of closely spaced pits run for at least 175m (NN c. 7725 2048 to NN c.7742 2047) and range from 25m to 30m apart. The S alignment kinks inwards about halfway along its length, and both alignments describe a gradual curve to the S towards the E end of the cursus. No terminals or internal divisions have been recorded and there is no reason to believe that this is the complete extent of the monument. The cropmarks of a road intersects the cursus (NN72SE 77) and the SW angle of Dalginross Roman Temporary Camp has been recorded in the same field (NN72SE 1).